Hurricane season is here — are you ready? The John Howard Homes are built with a great feature that I wished I had in my personal home that was built before these became available. Have you heard about Storm Tech Shutter Systems? Storm Panel Shutters are removable, light-weight panels and can be attached using fixed mounting extrusions (specially designed) at the side of the windows. What a great storm protection system! No more duck taping windows or hunting down plywood to be nailed to cover windows and doors. What a treat! The shutters give a great feeling of security and relief to be protected from flying debris, the neighbors garbage cans, patio furniture and all those things that take wings during the times of heavy and strong winds. Take a moment to look at the video from the Storm Tech Shutter people and you will fully understand how important they are. This is an article that Tonyea Weber , the Sales and Marketing guru for the John Howard Companies brought to my office. She wanted to find a way to share such great advice to all home buyers. I hope everyone takes time to thoroughly read and pay attention to this advice. To many times we have had buyers that incurred problems with their lenders not realizing simply actions could be a problem. I would hate to see anyone have their loan cancelled just because of simple mistakes. This recipe uses FRESH CORN. This is the season to take a trip down to the farmers market and cash in on all those wonderful veggies that we have in our area. One of the best things about being a member of the Howard Clan is the awesome dinners we have. This family is stuffed full of gourmet cooks, with the head chef being Betty Howard herself. Last night with had a real treat. Geltrude and Filippo Malone ( You remember him. He was the owner and chef of “The Pillars” on Government Street) joined us for dinner at the Howard Home. Now just imagine having Betty and Filippo in the kitchen at the same time and great things happen. So I thought ,on a regular basis, I would start sharing some of Betty’s favorite recipes. Geltrude even volunteered to give us a few recipes. You guys are in for a real treat. Last night we had prime rib which was amazing, but what I want to share with you was her corn souffle. The trick is she uses fresh corn, not corn from a can. Vegetables can make or break a meal as far as I am concerned. Now Betty is one of those “just dump” cooks, so Geltrude and I had to be on our toes getting the measurements right. But as every good cook knows, you must taste, taste, taste and then adapt. ABSOLUTELY DELICIOUS. Give it a try I am sure you will not be disappointed. It is a little more work than just opening a can of corn, but if you can get the fresh it makes a tremendous difference in the taste. NOTE: I noticed we did not put on the recipe to put the casserole dish in a pan of water ( a water bath) when you put it in the oven. Look at the picture and you will see the blue pan it was sitting inside the oven in. Last Thursday John Howard was honored with a surprise party , given at the Berkshire Hathaway/Cooper & Co offices. I thought I would share a few of the snaps. I am terrible at estimating the number of people there but I can tell you the room was full of well wishers. Jordan Cooper welcomed all to the event. Giving a brief synopsis of John and Betty’s career in real estate and building. Fifty plus years is a long long time. Several people had remarks and antidotes to share of their past history working with John. It was my great honor to witness and be a part of this. The following pic is of the office staff that was able to attend letting John and Betty know of our support for many more years. Good food and good conversations where held by all. A Big thanks to the sponsors to this event: Reli Title, Berkshire Hathaway, HBA, Magnolia Mortgage, and Trustmark. John was definitely surprised and honored by your gesture. He hopes he has quite a few years left to create even more cherised memories. Just what are the “Dog Days of Summer”? According to Merriam Webster it is the period between early July and early September when the hot sultry weather of summer usually occurs in the northern hemisphere. Also a period of stagnation or inactivity. How do I define “The Dog Days of Summer” ? Those days that are so desperately hot and muggy that even the dogs don’t want to move. Move over pup I’m laying down with you. But the original meaning had nothing to do with dogs, or even the lazy days of summer. Instead the dog days refer to the dog star, Sirius, and its position in the heavens. The Greeks and Romans believed the “dog days” occurred around the day when Sirius appeared to rise before the sun, in late July. They felt these days were the hottest time of year, a time that could bring fever , or even catastrophe. All I know is this is definitely a time of patience, a period of little to no activity , the clock even seems to run slower. Everything moves at a turtle’s pace. No one ever gets in a hurry or has any extra energy. Living in the deep south, we are definitely effected by the dog days of summer. We do only what absolutely , positively needs to be done. Anything else needs to be put back on the calendar. With our company being in construction it is especially rough. Our guys are outside in this stifling heat and humidity trying to pour driveways and foundations before afternoon storms hit. The roofers are on the roof tops , with most days the heat index is well over a 100. Then we also have the crews working inside … hanging sheet rock, painters trying to paint the walls with that special color, frame carpenters nailing all that gorgeous crown molding up, cabinets going in kitchen and baths, electricians installing the wiring and then coming back to hang the fixtures. Let’s not forget the plumbers doing their jobs making sure all the pipes are in the exact location. After all is said and done the landscaper dodges the showers and storms to get their grass and plants in. I am sure I have left off some crews that are out in this heat and humidity doing their work. Our crews are amazing! Now, all I want to do is fix a glass of tea and sit in front of the air conditioner or under the ceiling fan. Yes, if you live in the south some type of fan is involved. I’m thankful that our crews continue with their work while I know all they want to do in have a nice quiet afternoon siesta and join my friend here. Aren’t they precious? This is my daughter’s pups coming back from a day at the beach. Nothing Better Than A Backyard Garden!! It’s that time of year that one can’t help but think about fresh veggies. Living in the South the first thing we think about is a beautiful fresh ripe tomatoe. Not those plastic imposters that don’t even have a tomoto smell, but the ones that just smell so delicious you could take a bite right there in the garden. Yum! What I love is all the wonderful ideas for container gardens. No more digging up the yard, and even the smallest of patios/decks can support at least several containers for plants. A container garden can be as simple or elaborate as you have time for. Basic inexpensive plastic buckets can be used for the container or if you or quite handy with the hammer and saw there are plenty of plans on the internet to make them. Check out this idea using basic plastic buckets. This a great article from Simple Frugal giving some great pointers on “How to Get Started Container Gardening”. She even has a post “Best Vegetables for Container Gardening”that I gleamed several good ideas from. These are just a few fruits and veggies that she favors. Apartment Therapy has a great article on “Gardening Without a Garden: 10 Ideas For Your Patio or Balcony. Take a moment to read it and get some really great ideas. My favorite item to grow in my backyard or on the patio is tomatoes. During the summer they are a staple on our table. Simply wash, slice , then a pinch of salt and they are ready to enjoy. Nothing is better than a juicy red tomato to finish off your summer menu with fresh veggies. Isn’t this absolutely beautiful? Nothing is prettier than a pot of fresh tomatoes just waiting for the picking. This is a tomato called Patio Princess. One of the favs for growing in a container. This plant normally only reaches about two feet tall, perfect for a small area. A few other favs are Sweet Baby Girl. Sweet Baby Girl is what is called an indeterminate variety, meaning that it does not normally get very tall. My suggestion? Everyone knows how I love Pinterest, Go to Pinterest, put in “Container Gardens” and be prepared to be overwhelmed. I saw articles on growing herbs, the best soils for small gardens and even how to grow corn in containers. Now that is one I don’t think I would have ever tried. 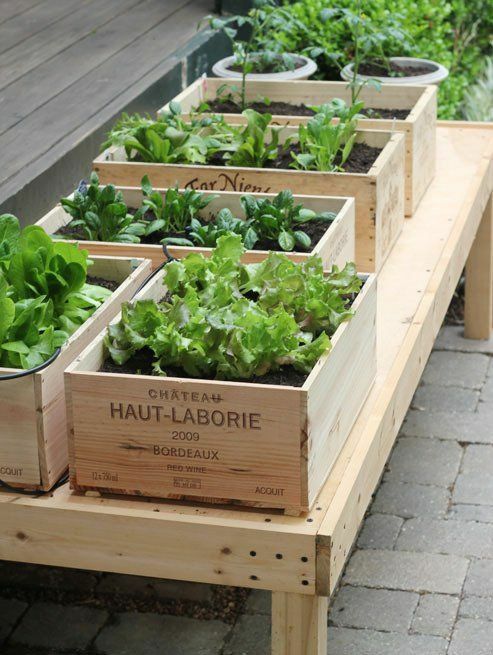 It is absolutely amazing the wonderful ideas they have for backyard gardening. Enyoy! It’s that time of year, everyone is talking about getting outside for some much needed R&R. One of the fastest growing additions that is spotted in backyards of all types and sizes is a fire pit. Don’t know what a fire pit is.. let me show you some pics from big to small. They can range from a simple a DYI projects to the sky is the limit. No matter how large or small of space you have for a back yard there is a fire pit that will fit your need. With just a little pre-planning a previous space that was undesirable can be your new hangout place. The very basic, basic fire pit. Simple and gets the job done. Sit around the campfire at night with friends, the neighbors or even just the family. Let the family pets run around and just enjoy the great outdoors. Just a slightly more elaborate, beautiful setting, great place to enjoy the outdoors. Invite a few friends over and get the full benefit of having a backyard. Someone had some serious design help with this one. It would definitely not be a weekend DIY project, bring in the master stone layers. Absolutely beautiful. What a great place to rest an relax! If you are short on ideas go to Pinterest and just enter “fire pits”. We are working on a board on the John Howard Homes Pinterest board that will be just for fire pits. It’s absolutely amazing the amount of information on design ideas and DIY projects. Would you like to learn how to build your very own fire pit? Here is a great tutorial by thisoldhouse.com on just that. Very basic simple instructions. Anyone could tackle this as a weekend project. Then the next weekend if you are so inclined add some seating … benches … a more permanent sitting area. One thing at a time and the next thing you know your backyard will be the most sought out place in the neighborhood. 4 BR | 2,701 Sq ft.